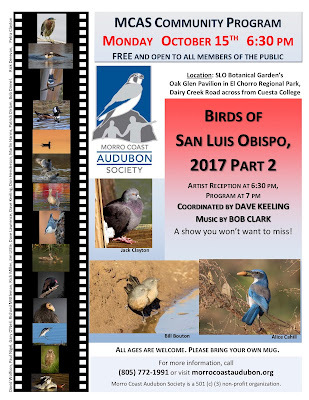 Birds of SLO 2017 Part II is a slide show featuring outstanding images of over 200 species of birds taken last year by some of the finest nature photographers in the county. The photos are amazing and their impact is heightened by the synergistic effect of live guitar accompaniment by Bob Clark. The program will be preceded by an artist reception to honor the photographers. Drinks and snacks will be provided courtesy of MCAS. 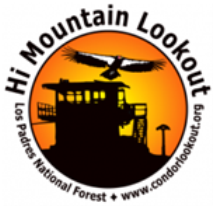 If you enjoy birds and birding, you’ll enjoy the evening. 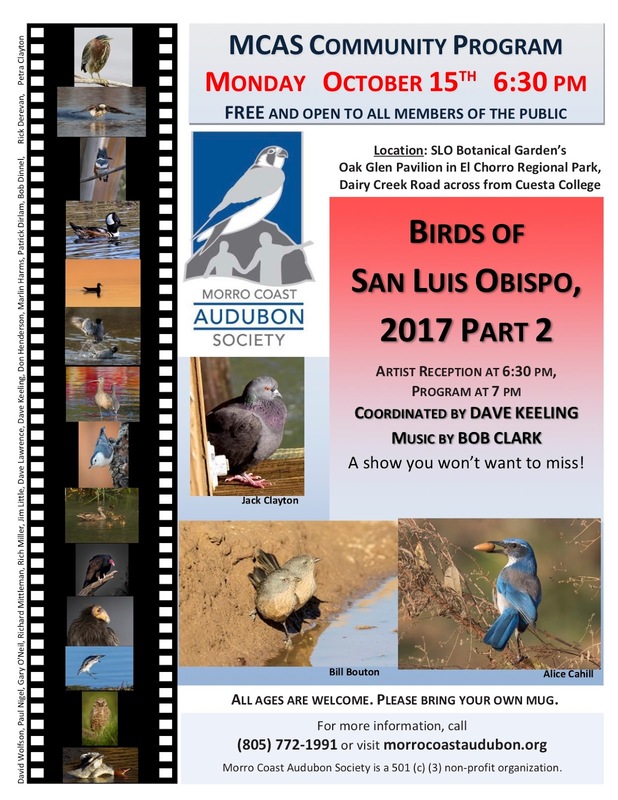 It will be great entertainment and motivation to get out and bird more often in our county. You’d be hard pressed to come up with an example of anything quite like it. All MCAS Community Programs are free and open to the public. As always, all ages are welcome.